What Is a Quitclaim Covenant? A quitclaim deed conveys someone’s interest in real property to someone else. The seller or donor is the grantor; the recipient is the grantee. The quitclaim’s only promise, or covenant, is that if the grantor had an interest in the land, that interest is transferred to the grantee. That’s a big “if.” Quitclaims should be used only in special circumstances. The quitclaim deed applies only to the grantor’s present interest in the land. That is whatever interest the grantor happens to have in the land when he sells it or gives it to the grantee. The deed transfers that present interest to the grantee. A covenant is a promise made in a contract, and a quitclaim is a contract between grantor and grantee. The quitclaim’s only promise is that if the grantor has a present, or current, interest in the land, it is transferred to the grantee. That’s not much of a promise, since the grantor may have no interest, or title, to the land at all. A grantor can photocopy and hand out quitclaim deeds to anyone, but the grantee will have no right to those properties because the grantor had no right either. Another name used to describe a quitclaim is a “deed without covenants,” but that’s confusing. The expression refers to the covenants found in another kind of deed, the warranty deed. A warranty deed contains present and future covenants. Present covenants consist of warranty, or promise, that the grantor indeed is the legal owner in possession of the property and has the right to sell or give the land away. Another present covenant provides warranty that the property is unencumbered, meaning no one else has a claim attached to the property. Future covenants consist of warranty that if there are any defects or problems with the title to the property, the grantor promises to make up any losses the grantee suffers, even if the grantee has sold the property to someone else. The grantee can enforce these promises against the grantor. Again, you won’t find any of those promises in a quitclaim deed. Quitclaim deeds are used in divorces. The matrimonial court orders one spouse to sign over his interest in the house to the other spouse, by quitclaim. Another use is if a title insurance company finds a clerical error in the chain of title, a quitclaim can correct that error. That’s using a quitclaim deed to get a good warranty deed. A quitclaim deed is also used if a real estate deal falls through, but some transactions have taken place. The buyer gives the seller a quitclaim to release the seller from any of the buyer’s claims. Then the seller’s free to sell the property to another buyer. Can a Divorce Decree Be Used in Lieu of a Quit Claim in Ohio? When a judge issues a divorce decree, he usually specifies how personal property and real estate should be divided between former spouses. However, actually transferring that property can be complicated since it may involve signing over a vehicle title, obtaining a new loan or recording a new deed. Your divorce decree itself does not accomplish these things. What Is the Difference Between Warranty Deed & Trustee Deed? 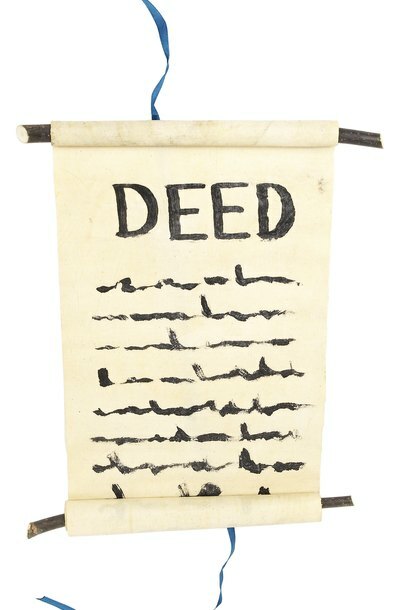 A deed is the formal document used to transfer ownership of real estate from one person to another. Different types of deeds accomplish that objective in different ways, and are used in different types of real estate transactions. Warranty deeds are among the most common types of deeds used to convey land ownership, while trustee deeds are most often used in place of a mortgage deed in California and other states that allow nonjudicial foreclosures. What is an Assignment of Trust Deed? If you own a home, you may have signed a trust deed that gives the mortgage lender a claim on the property. A default on the loan gives the lender the legal authority to foreclose on the loan and take possession of the house. An assignment of a trust deed conveys that claim to another party. Does a Will Override a Warranty Deed?